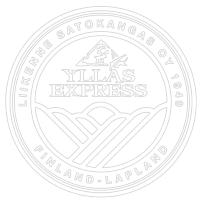 Our Airport EXPRESS service is an easy and affordable way to comfortably travel the distance between Kittilä airport and your cabin, holiday-home or hotel in the Ylläs ski resorts. 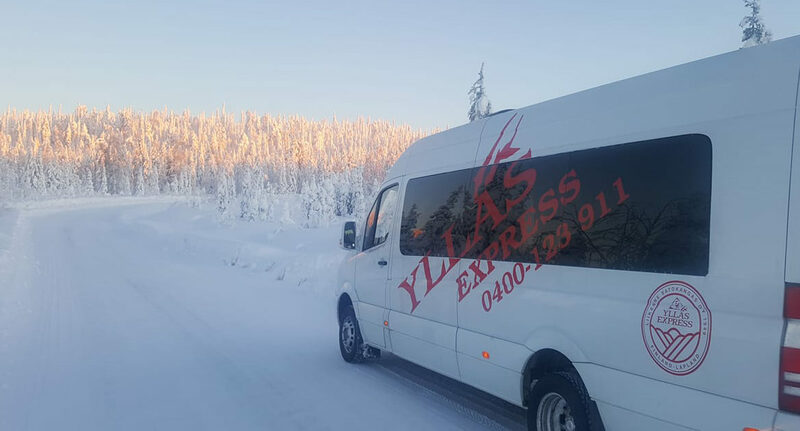 You don’t need to worry about bus schedules or carrying your luggage around Äkäslompolo or Ylläsjärvi, just relax and enjoy the service of a regular taxi and share the cost. Our minibus follows a certain route to pick up / drop off passengers and to keep the transfer as short as possible. Passengers will be brought to / picked up from their cabin, holiday-home or hotel. In case of late departure a different pick up location than your accommodation will be arranged. Single transfer enquiries can be made between 30 calendar days to 48 hours in advance. Enquiries for the next day have to be made before 12:00 (noon) by contacting our office +358 (0)400 123 911. Our pricing is based on minimum 2 persons per route. Single travellers, or adult traveling with child, will not be charged until the transfer is confirmed through our office. In case there are no other passengers for the same transfer, we will charge the minimum amount of 2 persons / transfer. Cancellations up to 30 days prior to booked transfer – 5 € administration fee will be deducted from refund. Cancellations up to 4 days prior to booked transfer – 10 € administration fee will be deducted from refund. Cancellations made within 4 days of booked transfer date – no refund. Please select the time frame of your flight’s arrival / departure in the calendar and specify the exact Flight time in the Travel details below.